If you are looking for a guitar-intensive album that manages to avoid all of the cliches of that genre, The Hand Farm might just be for you. Best of all, the drummer and bassists are free to play around the complex guitar lines rather than just pump out easy, and boring, rhythms. Thus, this album feels more like a band effort rather than solo. Scott McGill seems to have a strong Allan Holdsworth influence, with fluid jazzy guitar lines played at incredible speeds, and unusual chordings. Once in a while, the music gets even more aggressive with complex power-chord driven rhythms. I must also mention that there are no keyboards at all(this is strictly guitar, bass, and drums territory). Metaphor are a 5-piece band(from San Jose, California) who began their career as a Genesis cover-band. As time went on, though, the band slowly added original compositions into their cover-list, and the idea of releasing a CD of original material was born. Starfooted is colorful, haunting, grandiose, and playful in a manner that most listeners will be reminded of early Genesis. Tracks like "Ladder From The Sky", and "Chaos With A Crown Of Gold" are prog gems. Themes are introduced, developed, and resolved the way 70s bands use to do it. And along the way listeners are treated to melodic, and rhythmic surprises. Malcolm Smith's guitar playing really struck me as impressive. His style might recall Voyage Of The Acolyte-era Steve Hackett. But his prog-guitar palette includes everything from the famous Hackett weeping-sound, to slightly aggressive Steve Howe-like riffing. Once in a while, I'm also reminded a bit of Gentle Giant's Gary Green. Vocalist John Mabry offers nice vocals in a style similar to Peter Gabriel, and Peter Hammill. Yet at times he sounds similar to some of the neo-prog singers. I have to mention that many tracks, towards the end of the CD, feature long vocal sections which might bother those of you who prefer instrumental prog, or who don't really like the neo-prog vocal style. However, the music supporting the vocals remains reasonably complex and interesting. Overall, fans of early-Genesis, Steve Hackett's early solo albums, and neo-prog will enjoy Metaphor. Starfooted remains one of the top prog CDs released in 2000. 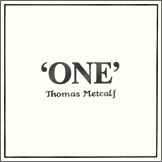 One, which was released in 1990, is the work of avant-garde electronic composer Thomas Metcalf. Fans of progressive electronica, and soundtrack music, will find plenty to like with this album. The compositions combine classical electronic tones, with complex passages that are similar to Zappa's wilder moments, and sections that seem influenced by musique-concrete(quick split-second stabs of sound). To quote John Diliberto, of CD Review, who hit the nail right on the head , "If the Art of Noise had the dynamic sense of Stravinsky, the group would sound like Metcalf". The compositions are packed with tons of complex ideas where the theory never becomes more interesting than the music itself. And many of you vintage keyboard collectors will love to hear a real Mellotron used in an avant-garde style, rather than symphonic. For more sound samples, reviews, and CD info please visit the website below. Mirthrandir were an excellent 70's symphonic-prog band. They seem to have been influenced by Yes, and Gabriel-era Genesis. However, their sound is much more modern(you would never guess that this was recorded during the mid 70's). Best of all, the compositions have some of the most passionate playing ever recorded. In fact, these guys would rehearse up to 4 weeks to get 1-minute of music perfect! This is high-quality prog that will interest fans of bands like Cathedral, Babylon, and Yezda Urfa. I've been looking forward to this CD ever since I saw the Motor Totemist Guild play these compositions live at Harbor College back in 1998. The music they played that night was like nothing that I had heard before. They took Rock-in-opposition to a new level by mixing it with traditional swing, free jazz, and occasional Cuban rhythms(sometimes in the same composition!). The music is impossible to describe, but I'll give it a shot. First of all, if you are into complexity you will love this disc. Try to imagine 12 musicians, each taking turns in groups of 3-4, play through a score where time-signatures, tempos, and rhythms change almost every other measure. Each section is filled with layers upon layers of countermelodies. The countermelodies are usually played in different scales, and sometimes even different time-signatures. Yet somehow everything sounds strangely beautiful in an eccentric sort of way. It's almost like listening to the musical version of the "The Voynich Manuscript". This is one of the best albums released in 1999. If you're a fan of Frank Zappa's The Adventures Of Greggery Peccary, U Totem, 5uu's, and/or Univers Zero you will love this album. This album smokes! 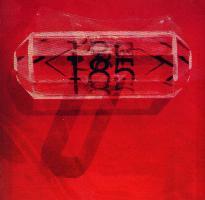 The CD has two different versions of <185>, one version is full of overdubs and electronic effects(added by Fred Frith) and the other version is much rawer. Since this is my first album by The Muffins I really don't mind the produced version of <185> which starts the CD. But, many long time fans were surprised when they first heard the fancier version of The Muffins when <185> was originally released. So, the band decided to release a rawer version of the album which was similar to their live sound(and the sound on their older albums). Anyway, the music is absolutely incredible. The sax/bass/drum playing is really aggressive, quirky, and fast on ideas. At times I'm reminded of a progressive ska band because of the horn section, and at other times they sound more avant-garde. Overall, this will probably impress those who don't really like RIO. Where did these guys come from, and why hasn't the prog rock/RIO community mentioned them more often? Muvovum are a 3-piece avant-rock instrumental band from New Orleans, Louisiana. Started in 1997 as an improvisational experimental group, the band quickly moved on to playing mostly complex, written, material while keeping some of their older improvisational style . So what do they sound like? Well, my closest description of Muvovum would probably mention that if you took Legend/Western Culture-era Henry Cow, gave them 4 cups of Kava Kava tea each to drink, and got them started on Rhodes piano, lo-fi synth(ala Moog Satellite and Theremin), guitar, bass, and drums then that sound would probably come close to the sounds on this CD. The atmosphere on most of the tracks is menacing like Univers Zero, yet dissonantly relaxed like some of Edgar Varese's gentler works, and features an advanced Schoenberg-like(atonal) melodic/rhythmic sound that keep your ears constantly expecting the unexpected. Another influence that I should quickly mention is John Cage's "random theory" for composition, although what might sound random in Muvovum's music is most likely composed. I quickly noticed that most of the themes on the tracks are based on one guy starting a melodic line, while the others either finish the idea or expand on it. This approach quickly brought up Picchio Dal Pozzo's Abiamo Tutti I Suoi Problemi to mind. Themes are then rarely repeated the same way twice, and go through a series of variations. Fans of RIO will definitely dig this stuff and follow what's going on, while some casual music fans might fail to catch that the music is highly composed. 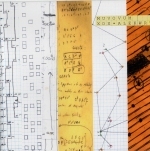 I would say that 80% of the compositions feature complexity that rivals Henry Cow's Legend, while the remaining 20% consists of drones or abtract improvisation. At their most intense, Muvovum sound like a group of laid-back 60s jazz-musicians playing 20th Century avant-classical, but even their calmer moments feature a fair amount of detail. Overall, these guys are one of the top modern RIO bands that I've heard. The maturity level in each composition here forces me to scratch my head, and wonder why these guys haven't been mentioned more within the experimental music underground. Sure, New Orleans isn't known for progressive experimental rock, but with the internet Muvovum can now easily get mentioned along with the 5uu's, U Totem, Motor Totemist Guild, and Sleeptytime Gorilla Museum. Xox-Alekwrt can be purchased at Wayside Music, waysidemusic.com. The Neapolitan Orchestra are a trio, from Ohio, consisting of Tony Peters(guitar/keyboards/ vocals), Ben Burton(percussion/electronic drums/vocals), and Chris Matthews(bass/keyboards). Almost Syrup is also the band's debut album. Their sound is very modern with influences that probably include late-seventies Rush, Dream Theater, and Queenryche(Operation Mindcrime). The highlight of the album is the epic entitled "Trilogy Almost Syrup". This fast-paced instrumental workout is full of aggressive themes, breaks, tempo and rhythm variations. But the other songs, before and after the trilogy, have plenty to offer although the level of complexity is turned down a notch. Fans of classic Rush, and Queensryche, will enjoy this album. Nocturne is the second album by North Carolina's Ozone Quartet. The band's instrumental music features atmospheric, and playful, interplay between Chapman Stick, violin, and guitar. These guys tend to be compared to Boud Deun quite alot, but the music here never gets that complex. The strongest influence seems to be Tony Levin-era King Crimson, if you can imagine that they also had a violin player at the time. Yet Ozone Quartet's guitarist doesn't seem influenced by Robert Fripp. One noticeable difference on this album compared to the first album is the inclusion of vintage-sounding keyboards on some of the tracks. These include Moog-like bubbling, and Hammond B3 chords. Nothing dramatically different, but fans of the first album will take notice. Some of my favorite tracks include "Backbone Of Night" which features Middle-Eastern percussion, and scales. And "Diamond Eye" which has a section featuring some quick flurries of notes from the Chapman Stick. For more album info check the webpage below. A few years ago, I received a compilation CD from DURP, a German progressive rock webpage. Many of the bands on that compilation played uninspired neo-prog, and cliched Dream Theater-like prog metal, which mostly left me unimpressed(A few bands also impressed me quite a bit). But one band in particular stood out from the rest. Their style of progressive rock mixed world-folk(mostly Middle Eastern and African, and some Asian music), progressive politics, some metal, and a slight commercial touch. Now, a few years later, I recently received the band's second album Ishq. Paranoise are a 5-piece American band heavily influenced by ancient world folk. They rely on samples(chants), as well as real musicians to create an intense form of world prog that sounds as ancient as it sounds modern. A typical composition usually starts out with a looped chant. These chants are usually Middle Eastern(Arabic) in nature, while a few tracks feature African, Central Asian, and even Mongolian(Tuvan throat singing) vocal styles. The band usually comes in with driving percussion(drums and ethnic percussion), bass, and acoustic(clean) guitar. One musician that quickly stands out is violinist Rohan Gregory. His style of violin-playing reminds me of the violin work in Gunesh(the band from Turkmenistan); his virtuoso-like melodies mix Middle Eastern scales with Asian nuances. Most of the tracks also feature guitar. At times, the clean guitar reminds me of the Middle Eastern Oud(at least the note choice, and patterns, not the sound). Many sections also feature electric guitar solos, and power chords(sort of in Petrucci style). Some tracks feature sampled speeches dealing with anti-Imperialism, and anti-Capitalism. Personally, the political side of Ishq doesn't bother me since I respect people's political opinions(whatever side they are on), but the band's political slant might bother some listeners. Overall, Ishq is an excellent album. 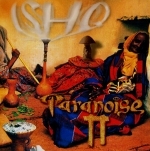 In fact, Ishq is one of the top new albums that I've heard in 2001. Anyone into Peter Gabriel's Womad, Gunesh from Turkmenistan(although Paranoise are not as complex), and World music in general will love the music here. I recently received two CDs from bassist/guitarist/keyboardist/drummer/vocalist David Noel of Georgia(USA). One CD consists of his solo project Alloy Now, while the 2nd CD is from his equally impressive band, Plastic Overlords. This trio from Atlanta, Georgia play a symphonic style of 70s-psychedelia that isn't afraid to rock in a glam-rock sort of way. They seem to have been influenced by most of the classic British psychedelic and progressive rock bands. But what is really surprising, is that these guys managed to create melodies, and recreate certain recording styles, dynamics, and tones that are as beautiful as those found on the English albums of the time. Yet, rarely did they remind me of the better known groups. As far as complexity goes, I would have to say that these guys come close to the early 70s English group Fantasy. They are capable of turning the complexity knob up during certain musical passages, yet seem more interested in creating beautifully melodic themes, verses, and vocal harmonies. The bass guitar is noticeable on most of the tracks. Its "sound" falls somewhere between Chris Squire's Rickenbacker sound, Mike Rutherford's laid-back grooves, and Steve Harris's simple yet effective style. Most listeners will instantly notice the great guitar work. The mellotron sections have that inspiring quality, yet are never overly dramatic. The vocal sections are quite good. On this CD, vocals tend to sound much more psychedelic, in a post-rock sort of way, and feature less of the Peter Hammill influence found on the Alloy Now CD. Between both CDs, I can't really tell you which one is better. Both CDs are both equally good. Plastic Overlords will please psychedelic, and space rock fans who also enjoy prog rock. Polyphony is one the US's earliest progressive rock bands. Without Introduction was released in 1971, and consists of 4 tracks. Two standout tracks are over 14-minutes each, while the album closer is 7-minutes long. A one-minute electronic track serves as an interlude for two of the epics. The musicians were definitely influenced by ELP. Keith Emerson-like organ playing is featured on most of the album. Yet the keyboard playing isn't as complex as Keith's(although once in a while in comes damn close). I noticed a striking resemblance to the some of the keyboard work on Il Balleto Di Bronzo's YS. Instead of playing never ending melodies, the keyboardist here liked to loop repeated patterns and piece them together to build the compositions. The guitarist is also noticeable. His playing isn't really that complex either, but he has the tendency to play spacy slide-guitar lines that are unique. I guess he was probably imitating Steve Howe's signature country guitar slides, but Glenn Howard ended up sounding more like a spacy blues-guitarist. In fact, the group wasn't afraid of adding blues-influences into their symphonic sound. The three epic tracks have a decent amount of vocals. They don't add or take away from the overall quality of the album, but some of the lyrics are rather cheesy in a hippie, Jon Anderson, sort of way(the first track has "Mellow Yellow" in one of the verses. Blech!). Their vocalist sounds a bit like Peter Gabriel mixed with Greg Lake. Another interesting aspect of this album worth mentioning is the percussion work. The band actually had a Percussionist who plays Congo's, Timbales, and other instruments. I'm reminded of some of the percussion work on Cathedral's Stained Glass Stories. Overall, this album tends to get hyped on the internet. It's definitely a classic, but considering how early this came out it sounds a bit dated. 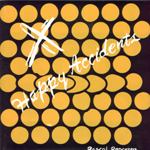 Happy Accidents is filled with some very addicting melodies and rhythms. The complex music(mostly RIO, and symphonic prog in nature) focuses on the interplay between keyboards(which range from cool-analog to cheesy-organ), and everything from flute to guitar. Both epics are built in the cut-and-paste style so many musical ideas are linked together to form a much larger body of work. The thing that really struck me about Happy Accidents is that the music changes every measure. There is little to no repetition, but the melodic development is so intelligent, and witty, that it boggles the mind how anyone could have come up with music this perfect. If you are a fan of Zappa, U Totem, 5uu's, Ennio Morricone, and similar then you will end up loving this music. 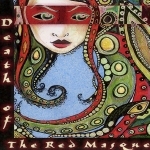 The Red Masque is an avant-prog 5-piece(g/b/k/d/v) band from Philadelphia, and The Death of the Red Masque is the group's new 3-song EP. After my first listen, I was quite impressed with this group's musical direction. Their music tends to mix Krautrock-like experimentation with traditional prog rock, some American avant-garde(John Cage, Henry Cowell, and Cecil Taylor) and Gong's spaced-out psychedelia. Each of the lengthy tracks on the EP(which total up to about 30-minutes) offers a different musical exploration. The first track, for example, starts off with a John Cage-like build-up that includes Gongs and other percussive instruments, but the band soon enters a lengthy avant-prog section featuring dissonant vocals, and unpredictable instrumental turns(sounding like a mellower Il Balleto Di Bronzo). The second track slowly builds intensity until it explodes into a colorful, Gong-like, space-rock jam. The third track, which comes closest to pure prog rock, reminded me of a mixture of Faust and Bubu(also King Crimson). All of the musicians in this band are impressive, but there are two band members that really stand out. The first one is vocalist Lynnette Shelley. Her voice brought Thinking Plague's Deborah Perry and Rufus's Gudny Aspaas(from the album New Born Day) to mind. Lynnette's vocals are dissonant, soulful, theatrical, and generally unpredictable. Her lower register, and avoidance of 12-tone like melodies, also gives the music an eerie sound that is different from standard RIO and avant-garde classical. The other musician to stand out is guitarist Steven Blumberg. His style leans more towards the avant-garde, as he has the tendency to use his guitar to create noises, and sound explorations, that sound like something out of Faust's The Faust Tapes or one of the early Amon Duul II records. Many sections also feature heavier, riff-oriented, guitar lines. Overall, this group really stands out and will appeal to fans of RIO, 70s krautrock, and complex progressive rock. St. Elmo's Fire were a 5-piece band from Cleveland, Ohio, who released a live album in 1980 before calling it quits. That live album, along with about 30-minutes worth of unreleased material, is included in Splitting Ions In The Ether. Their music, to my ears, sounds like a combination of Starless and Bible Black-era King Crimson mixed with Klaus Schulze. The King Crimson influence is rather obvious in the guitar playing, and during the jam sessions. But many tracks feature atmospheric sections with Moog synths and Mellotron. The quality of the music is high, but I must admit not liking the vocal-based tracks(fortunately, there are only 2 tracks with vocals). The sound-quality is okay, but considering that most of these tracks were recorded live, it's not a problem. Overall, I recommend this CD to fans of King Crimson, Robert Fripp, and synth-based space-rock. If these guys had a chance to record their music in a studio, they could have had a classic on their hands. I hate to start this review using the word "wow". But here it goes...wow! For those of you who are unfamiliar with Thinking Plague, they are one of the leading bands in the modern Rock-in-opposition movement. Rock-in-opposition, or RIO for short, can be traced back to the early musical experiments of Frank Zappa, but the actual left-leaning movement began in Europe with bands like Henry Cow, Stormy Six, and Picchio Dal Pozzo. As the 1980s began, RIO became an international, non-political, musical genre. What does RIO sound like? The RIO sound is almost impossible to describe because it is open to all sorts of influences and ideas, but the bands tend to mix 20th Century avant-garde classical influences, with progressive rock, and avant-jazz. So the music tends to sound dissonant, complex, angular, yet totally addictive. What makes this music addictive for me are the quirky rhythms found in most RIO bands. Some of Frank Zappa's crazier rhythms are a good comparison, but the RIO bands usually come up with ideas that no one else has thought of. The bands break new ground with each new album. In Extremis is the latest album from Thinking Plague, and it's quite a treat. I'll try to describe the music from the bottom up to hopefully give you an idea of their sound. The drum and bass work on this album is phenomenal. Dave Kerman and Bob Drake work themselves into complex grooves that are so catchy, that they sometimes have a strange danceable-quality to them(if you are also able to dance to some of Zappa's music). Somehow they also manage to create a layer of sound that is separate, yet parallel, to what the other musicians are playing. In fact, most listeners will be amazed at the amount of layers in this music. Each musician in TP seems to be in their separate world, but somehow the colliding sounds fit perfectly together. Anyway, over the "rhythm-layer" we find a mix of classical and rock instruments. The melodies, and flurries of counter-melodies, seem influenced by Schoenberg's 12-tone music. Guitarist Mike Johnson leads with his excellent guitar work, but he is closely followed by dozens of instruments which include piano, clarinet, cello, flute, and violin. Microtonal influences appear in a number of sections and seem to be done by electronic manipulation and synths. The chords created by the various instruments are densely-dissonant(but not ugly), and have an Edgar Varese-quality to them. This, of course, might sound like too much for some, but I have to add that the band has a talent for creating hooks that remain locked in your head long after the album is done. In my opinion, singer Deborah Perry has an important role for making this musically complex album accessible to a progressive rock audience. Her vocal lines are dissonant, and 12-tone based, yet her delivery has an avant-pop quality to it that should sound strangely beautiful even to someone who is unfamiliar with modern classical. Some of the CD's highlights include the opening track "Dead Silence" which is a tour-de-force and features catchy vocals and lyrics. 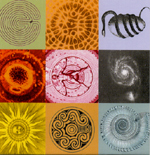 "Les Etudes D'Organism" is a 14-minute epic that features a section influenced by early circus music. However, that section sounds like circus music composed by Arnold Schoenberg. The remaining tracks each explore new ground, unexplored sounds, and 20th century musical theories. Overall, I would recommend In Extremis to musically adventurous prog fans. But if your also looking for an introduction to avant-garde music, and RIO, this is another perfect CD to start with. Along with 5uu's Hunger's Teeth, U Totem's debut is one of the best progressive rock(actually chamber rock would be more precise) albums of the 90's. The musicians here play a form of prog influenced mostly by the avant-classical scene. Some of their influences probably include composers like Frank Zappa, John Cage, Conlon Nancarrow, and bands like Henry Cow, and Stormy Six. However, after reading alot on composer James Grigsby, James is into all sorts of musical genres, and composers. Anyway, the music featured in each track tends to transform every measure. As soon as a melody or theme is stated, it is replayed again in variation. Rhythms are, well, arhythmic. In fact, the rhythms are so complex that some passages feature the musicians playing in different time-signatures and tempos(like Charles Ives). It is absolutely fascinating for people heavily into music, but I will agree that it's not for everyone. Strangely, I have played this CD to some of my non-prog friends, and they loved it. So the dissonant, and abstract nature of the music also has a certain beauty that appeals to even casual music fans. Check it out(as well as the Motor Totemist Guild's City Of Mirrors), maybe you will agree with me that U Totem is a masterpiece. 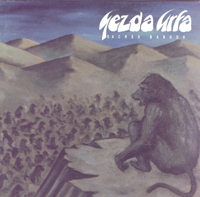 Yezda Urfa were another great symphonic-prog band from the late-70s American prog scene. Their two main sources of inspiration seemed to be Yes and Gentle Giant, but they pushed those two influences to the extreme(If you think the Jon Anderson's lyrics were esoteric, you got to hear the lyrics on this album). Not to mention that the music here bursts with energy and invention. Marc Miller, the bassist, plays some of the most exciting bass lines ever recorded. In fact, after listening to prog rock for about 10 years, I've never heard another album with bass playing quite like this. The other musicians also offer some pretty tasty chops. Their guitarist plays using a clean Steve Howe-influence style. The guitar-riffs are played at a frantic pace, and somehow mix Howe's American-guitar chops with European classical influences. If you're eager to hear a prog album that emphasizes complexity, tempo-changes, all-you-can-eat time-signatures, instrument changes in mid-song, and lyrics stranger than the writings of Tristan "Dada" Tzara, be sure to pick Sacred Baboon. After reading through the promo of York Shire's debut album, and before listening to their music, I guessed that these guys probably played aggressive, riff-oriented, retro progressive rock. In fact, the photos of the band members, who look a bit like members of Jethro Tull, circa 1972, gave me the impression that they were a Tull-clone band. But, the music tells another story. York Shire are definitely progressive rock, yet they sound nothing like the 70s prog bands that they list as influences. The band seems to have the same philosophy as Gentle Giant in that they love to play multiple instruments, and mix different styles of music in the same composition. The various styles of music explored here include latin grooving, heavy metal, English folk, and church-influenced chanting. The trio seems very interested in building grooves, and creating atmosphere. So, nothing reaches a very high level of complexity, although the mixing of various musical styles gives an unpredictable quality that keeps the ears alert. You might guess that the musicians are leading towards a certain point, but instead they whip out an unexpected groove, or introduce new instruments. The impressive thing is that it all sounds very smooth, and never awkward. At first, the vocals on a few tracks surprised me, though, they quickly became enjoyable. The vocal style here reminded me of the bluesy, yet oddball, vocals on Frank Zappa's One Size Fits All. There is a non-serious element to the lyrics that is unusual when compared to the typical, serious, prog vocals on other modern albums. Anyway, this is one of the top releases from 1999.